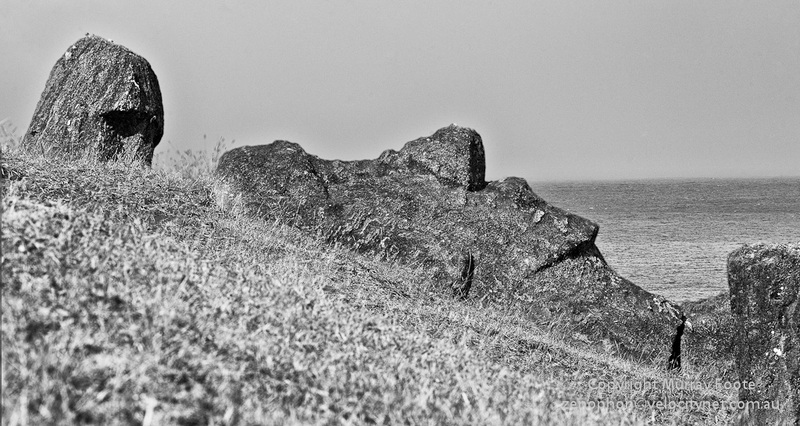 This entry was posted in 2C: Is Easter Island a Parable for Our Times?, Easter Island, Isla de Pascua, Rapa Nui and tagged Climate Change, Easter Island, Ecology, Environment, History, Isla de Pascua, Photography, Rapa Nui, Travel. I have read this before Murray, but have enjoyed a reread. Wonderful photos… really wonderful. Is all the stone the same colour? I was amazed at the dressed stone work, what craftsmanship! Some of the stonework is amazing, especially considering they only had stone tools. 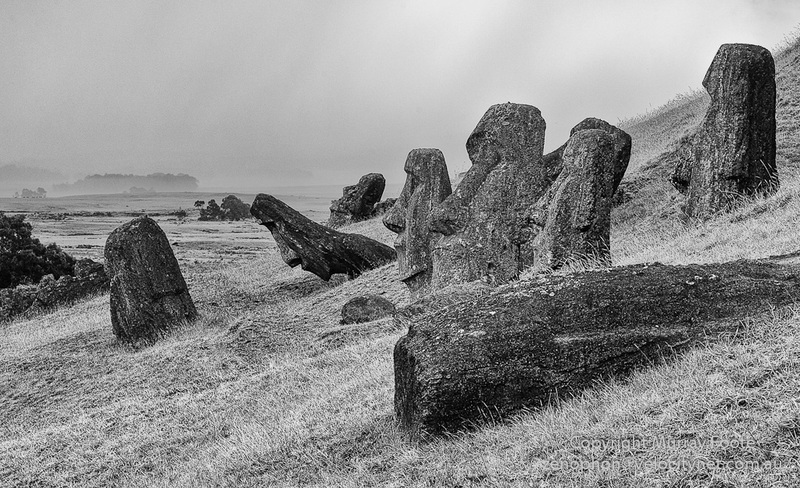 I don’t specifically remember consistency of colour but it stands to reason it would be so because pretty much all the moai were quarried from volcanic tuff at Ranu Raraku. The only variant would therefore be weathering and the colour was quite different when they had been recently excavated. 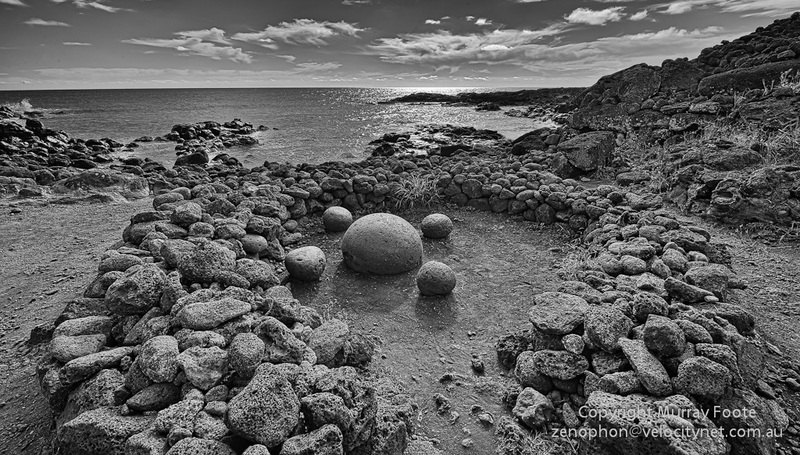 You can see colour versions of all these images in the relevant posts in the blog. 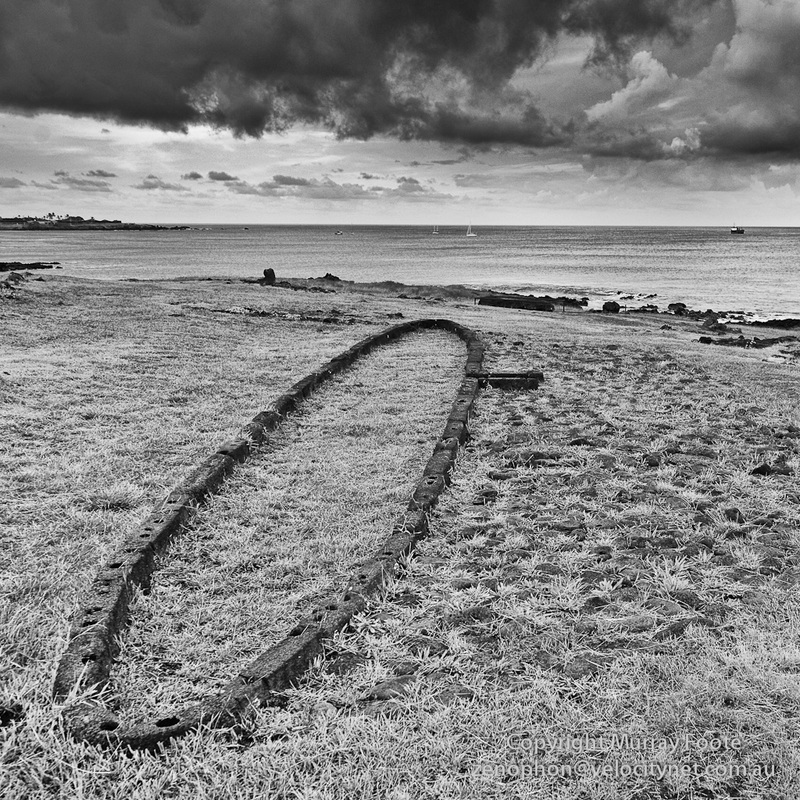 The pukeo (or topknots) were mined from red scoria at Puna Pao at the other end of the island. 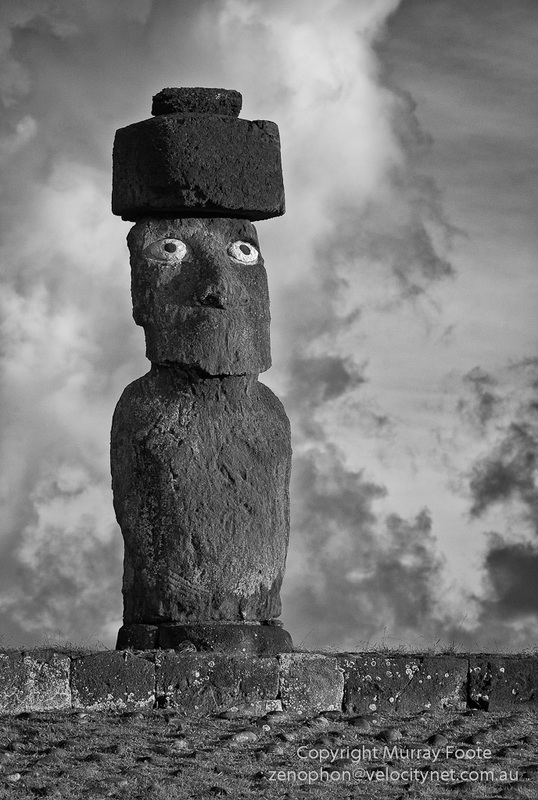 A few moai were also made from red scoria (which weathers badly) and a few moai were made from basalt. 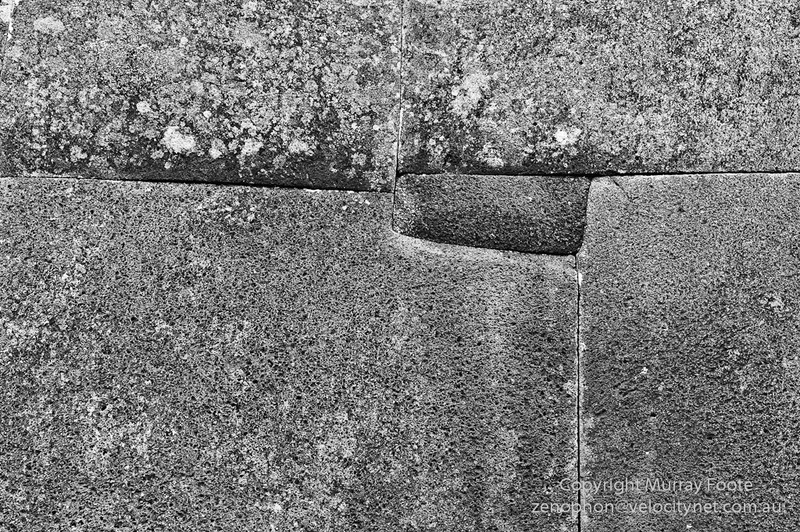 The wonder of basalt moai was that the only tools they coud have used would have been basalt. Extraordinary people… your account of their history really helps not just to understand their motivation and reason for these wonderful constructions but also how they were able to do it. 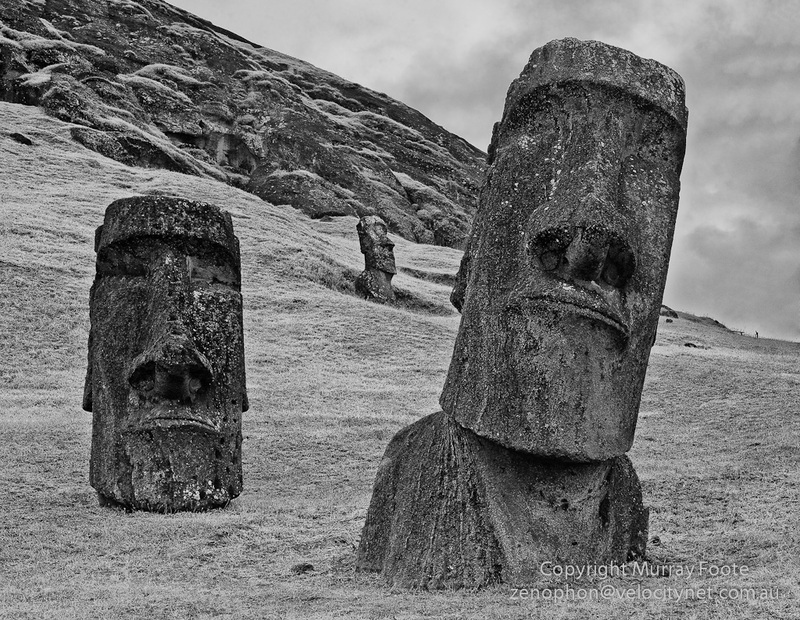 I don’t just mean the physical making of the moai, but how they were able to have such a large task force given over to working on them and not doing the other necessities for life. I have said it before but it’s a place that you cannot go to without trying to understand what it is that you’re seeing and how that came about. And then that starts you thinking…. http://preview.tinyurl.com/cn2gqb7 -but I would like to suggest that it’s really worth watching. Thanks Gunta. I did watch that video and it is a very telling and thoughtful piece. We hear a lot about “Freedom” but the freedom to exploit is no kind of freedom at all. A pity that’s not more profoundly and widely established. 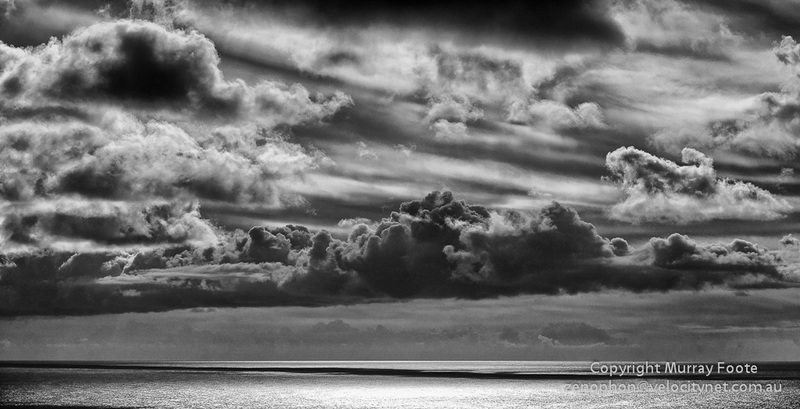 Excellent post and I loved the wonderful photos. 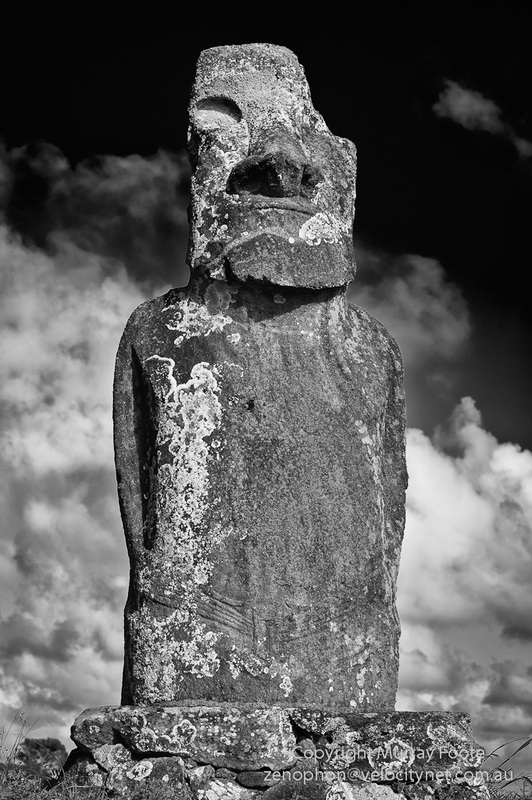 The reasons for the historical decline of Easter Island society is something we all need to take note of, and I think that ignoring the possibility of those same triggers in our own times would be at our peril. (Jared Diamond’s book, Collapse, where he addresses the same issues, is one of my favourites). I wrote most of that post about a year ago but just revised it and separated it out of another post it was wrapped into. I didn’t discover Jared Diamond’s “Collapse” until I had nearly finished writing it so my perspective is not based on his. While I generally agree with what he says, I think he simplifies the way things happened in ways that have significant implications. As with most writers, I don’t think he has read the accounts of the early visitors which I suspect have only recently become available on the web and previously were locked in obscure libraries. I’m not sure that so much has changed, unfortunately. After all, Tim Flannery wrote “The Future Eaters” in 1994. I’ve read quite a few of his books and am probably much more influenced by them. I came across this little cartoon and thought of your blog. Cheers! Hi Isaac, thanks very much. That hit the spot! 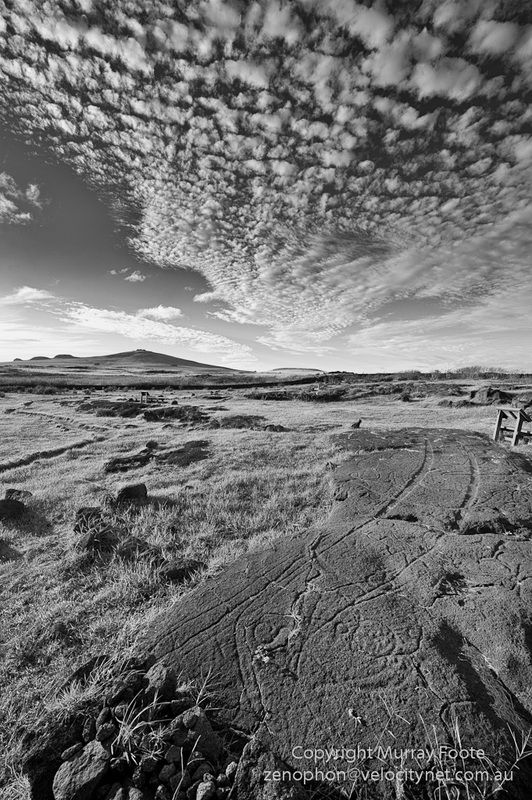 Really excellent B&W images, and very well-written/researched Murray! Don’t know why I hadn’t seen this before. I liked Diamond’s Collapse, but not as much as Guns Germs & Steel. I think he simplified deliberately, to limit his focus to the collapse event itself. Similarly the Ancestral Puebloans (formerly known as the Anasazi) in the U.S. Southwest didn’t all die off. They simply moved south and became what we know as the Hopi, Zuni and other tribes. But their population did decline drastically and their culture changed abruptly. BTW if you want to see the way some of them live just visit Three Mesas in northern Arizona. But a warning, they don’t allow pictures. There is so much more I could say about your post, but I can’t disagree with anything you say. I didn’t encounter Diamond’s Collapse until I’d written but not published this post. I didn’t find anything significant I hadn’t covered and I differed fundamentally from him in his theory of Collapse due to my having read Roggeveen’s journal. 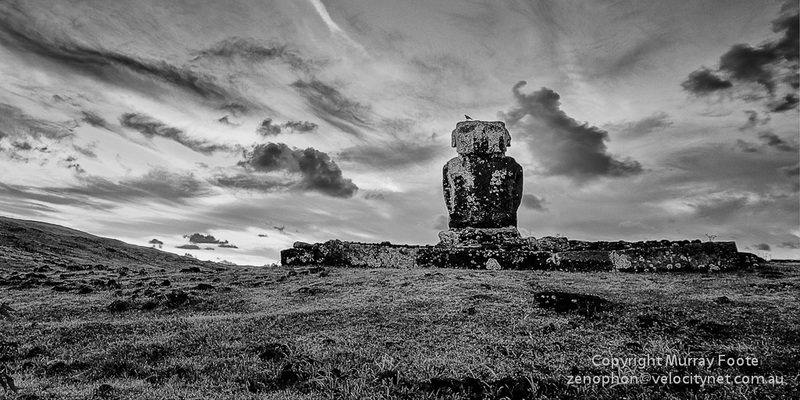 When he arrived in 1722, the moai were still erect and the chiefs and priests were still in place. So the collapse of Society was due to the demonstration of military and resource superiority by the Dutch, not to the ecological calamity. It would certainly be fascinating to see something of post-Puebloan culture. 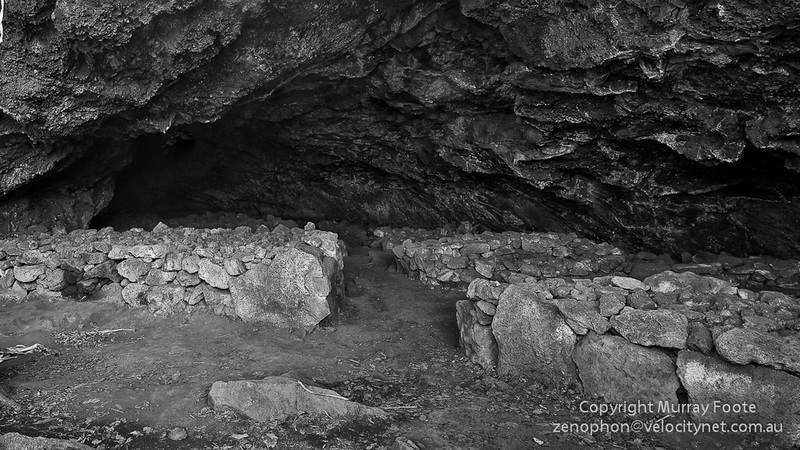 I only saw a glimpse of some of their ancient dwellings when I was in the South-West.